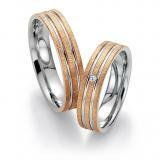 Celik-rings, collection Josef Christ. 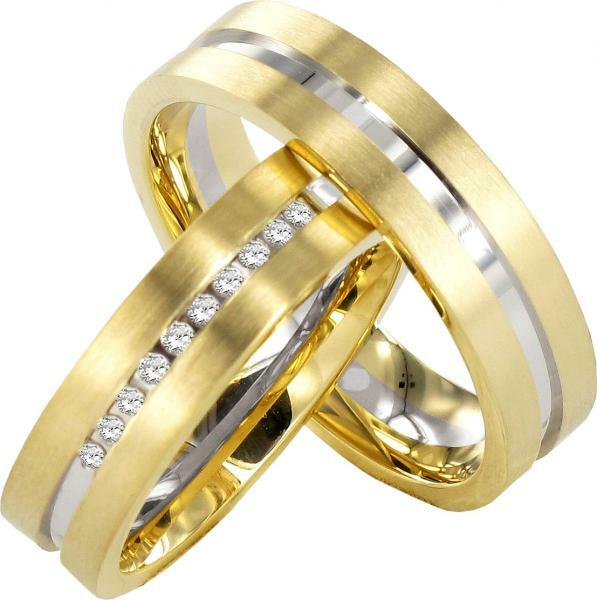 Wedding rings in 585 yellow gold and white gold with cubic zirconia (synthetic, white stone). 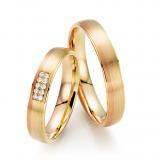 To get even with diamonds (supplement 690 EUR 10 diamonds 0.10 ct. TW / SI). Width of 5.00 mm.